Home / Entertainment News / Late IVY WANGECHI’s classmate speaks and drops a shocker on her alleged boyfriend who killed her, clears HIV rumour. 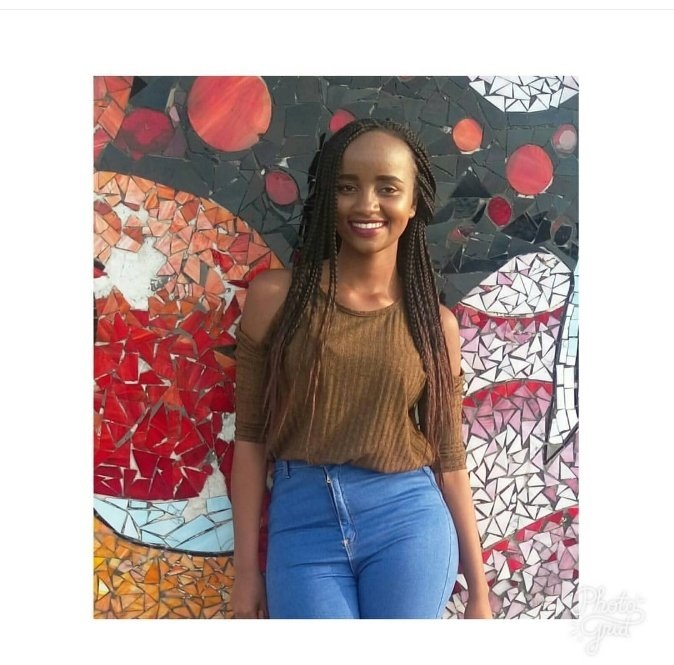 Late IVY WANGECHI’s classmate speaks and drops a shocker on her alleged boyfriend who killed her, clears HIV rumour. 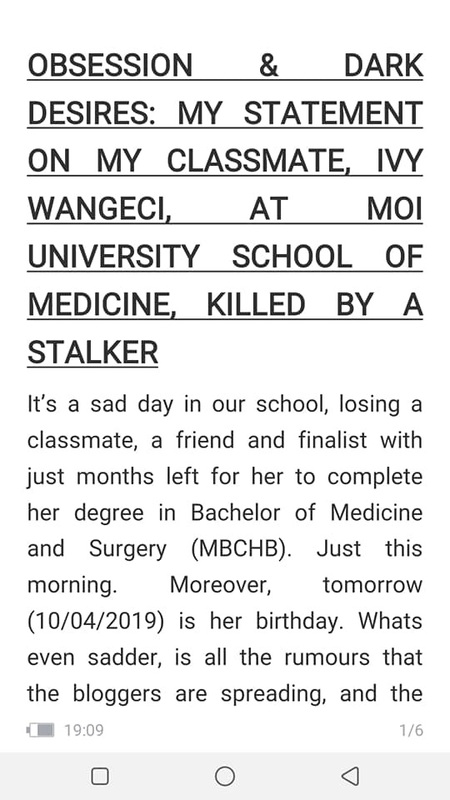 Wednesday, April 9, 2019-A classmate of the late Ivy Wangechi, a medical student at Moi University who was brutally killed by her boyfriend, has refuted claims that she was HIV positive. 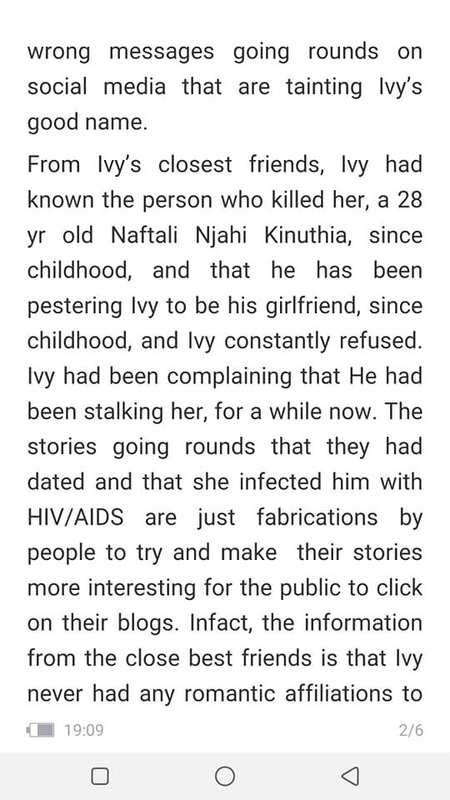 Social media has been awash with rumours that Ivy’s boyfriend Naftali Kinuthia, carried out the gruesome murder after finding out that she had infected him with HIV. 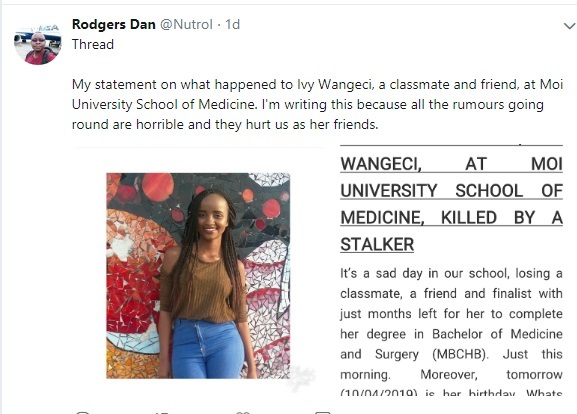 However, Ivy’s classmate identified as Rodgers claims that Kinuthia carried out the heinous act after he was rejected by the young medical student. 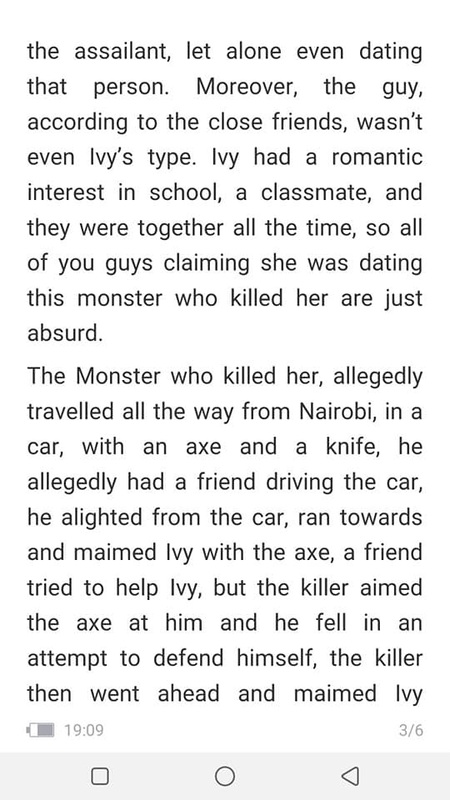 According to Rodgers, Ivy's closest friend confided to him that she had complained that Kinuthia kept on stalking her yet she was not interested in becoming his girlfriend. Apparently, they had known each other since childhood. Rodgers denies claim that Kinuthia was dating Ivy. He referred to him as a monster and stalker. 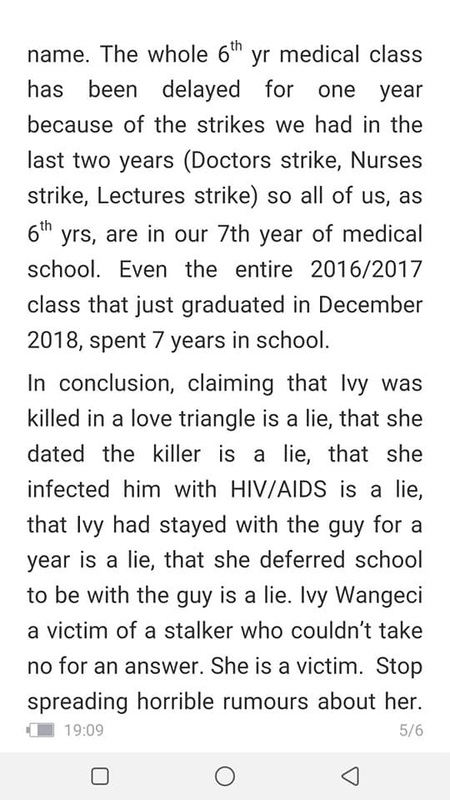 Here’s the thread on twitter where Ivy’s classmate refutes claims that the suspect was her lover and reveals other unknown details. 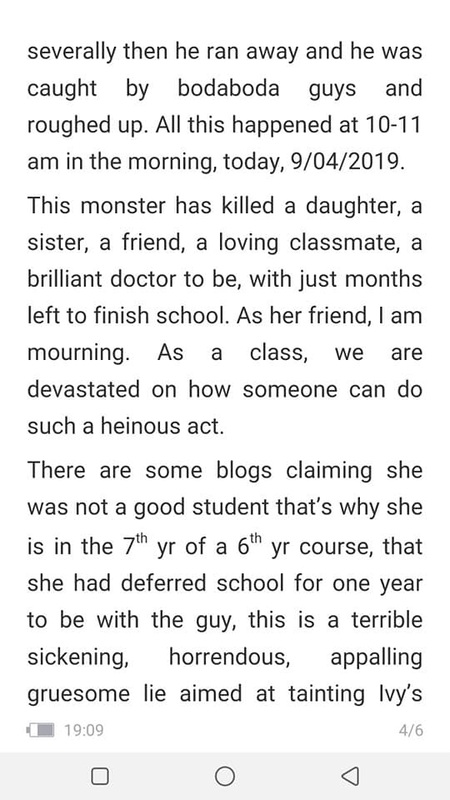 Enter your comment...we know you're all the same,she was dating most of you "her classmates". You're just trying to clear the air and pretend to be evangelists but we know you.Kila mtu apambane na hali yake,ala!! 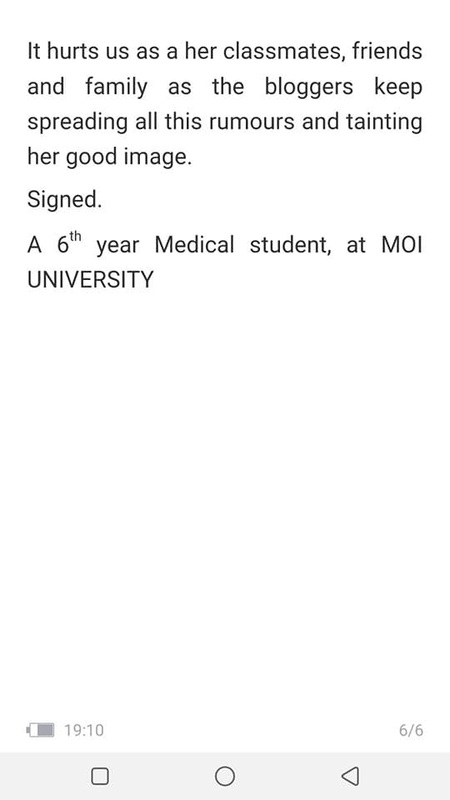 Even after clearing the air , people like Jared can't seem to let it go, shida yako ni gani ? You are trying by all means to make the lies your truth? Jamani, get a life, ala!